We want to introduce new feature in Grabilla – scrolling window capture. 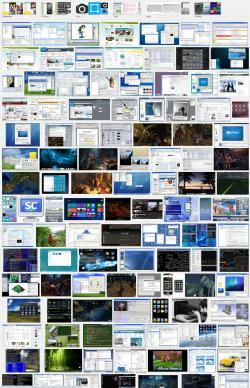 It allows to capture scrolling in any window like Excel, Skype, browser, etc. and create long screenshot with all captured information. You have to launch Grabilla, select Scroll Capture in Grabilla selector, select area to capture and press Start. Then you can scroll window under selected area and it will be captured and stitched together to single screenshot. It can be uploaded to our server or saved to your local disk. Videos, static elements, animations, scrollbars can’t be captured.